Nigeria's top judge has been sacked by a tribunal that found him guilty of falsely declaring his assets. Chief Justice Walter Onnoghen was banned from office for 10 years on Thursday and ordered to forfeit any assets he could not account for to the state. Onnoghen's suspension in January by Nigerian President Muhammadu Buhari, just weeks before a presidential election, prompted allegations of interference in judicial matters. The chief justice holds a key role in determining the outcome of Nigerian elections if the results are appealed by a candidate and a tribunal is formed. A request to remove the chief justice usually requires the approval of two-thirds of the Senate, but Buhari did not follow that process. Onnoghen was tried for failing to divulge cash in five foreign bank accounts in contravention of rules governing the declaration of assets by public officials. "The defendant has clearly contravened the code of conduct for public officers, and he is hereby convicted," said Danladi Umar, chairman of the country's ethics court. Umar ordered that any cash found in Onnoghen's foreign bank accounts be taken by the treasury. "The money in the five accounts, which the defendant has failed to declare and disclose its source, is hereby confiscated, seized and forfeited to the federal government," Umar said. 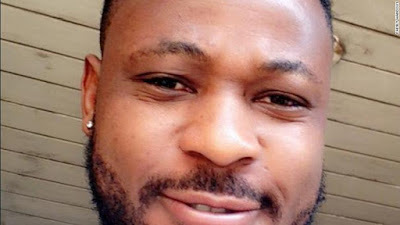 After the ruling, Onnoghen's lawyer, Okon Efut, said the process had not been fair. He decried what he called the "unconstitutional" suspension of the judge in January, claiming it was the first step in what he said was a "premeditated" decision. "Judgment had been passed before today," Efut said. As head of the Supreme Court, Onnoghen could have ruled on any disputes relating to the election, which saw Buhari, of the All Progressives Congress, win a second term of office. Atiku Abubakar of the main opposition group, Peoples Democratic Party, who lost to Buhari has launched a legal challenge to the result, after calling the election a "sham". An online house cleaning service is promising to create millions of jobs for Nigerians. Kureen is an online service that pairs house cleaners with home owners in need of cleaning services in three major Nigerian cities. Nigeria is Africa's largest oil producer but more than half of its population lives in extreme poverty. In his recent election campaign, President Muhammadu Buhari promised to diversify the economy away from oil. But Nigeria is even struggling to grow its own food. It has been five years since hundreds of schoolgirls were abducted in north-eastern Nigeria by Boko Haram fighters. While a total of 164 girls have been found or released as part of a deal between the Nigerian government and the armed group, 112 are still missing. In Nigeria's capital, there are renewed calls for the search to continue. The international outcry sparked the Bring Back Our Girls movement, which continues to this day. Despite the pain, one mother still hopes she will once again see her daughter alive. Up to 10,000 civilians have been forcibly relocated because of a military operation against Boko Haramin northeast Nigeria, the United Nations said on Thursday, calling for better protection. "The military ordered the immediate departure and forced the relocation of up to 10,000 civilians in the middle of the night, without prior warning," it said in a statement. "The entire town of Jakana was emptied, and people were forced to move to Maiduguri with very little time to collect personal belongings," added UN Humanitarian Coordinator Edward Kallon. "Some people said they arrived in Maiduguri with nothing, not even with shoes on their feet." The northeast is the battleground in Nigeria's decade-long fight against the armed group of the Islamic State West Africa Province (ISWAP) and Boko Haram. "The United Nations is urging the government to urgently provide safety, shelter, food, water and medical care to the displaced civilians, in addition to information about when they will be allowed to return home," said Kallon. 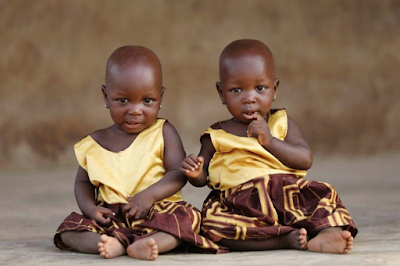 Twins are common in the Yoruba ethnic group that dominates this part of Nigeria. 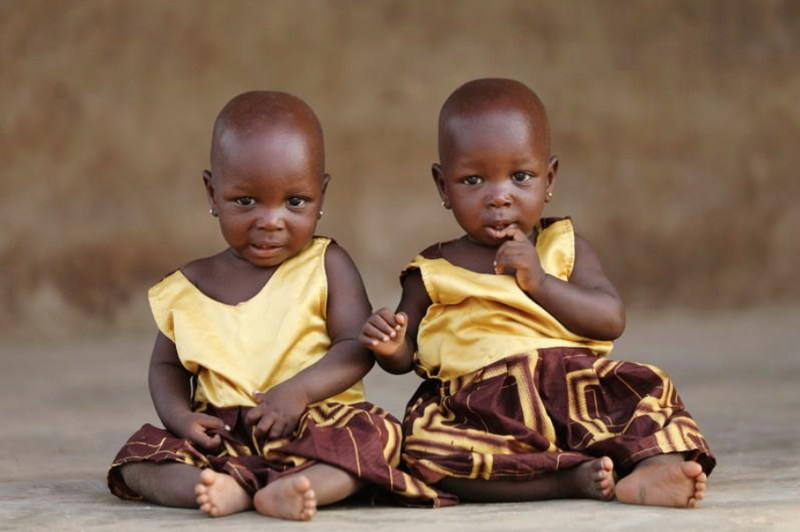 A 1970s study by a British gynecologist found that around 50 sets of twins were born out of every 1,000 births in the southwest - one of the highest rates of twin births in the world. Nigeria has suspended mining activities in Zamfara and has ordered foreigners engaged in the work to leave the northern state within 48 hours. The move comes after a surge in crime in the state. The military, police and the state security forces have been deployed in recent weeks to tackle criminal gangs behind a spate of killings and kidnappings. The government says the suspension begins with immediate effect. Any operators who defy the order will have their licences revoked. Al Jazeera's Ahmed Idris has more from the capital, Abuja. Video - Will Nigeria crackdown on crime in Zamfara state work? Nigeria has suspended mining in one of its northern states and ordered all foreigners engaged in mining activities to leave. The move comes after a surge in crimes, including kidnappings and killings, in Zamfara state. Ahmed Idris has more from the capital, Abuja. 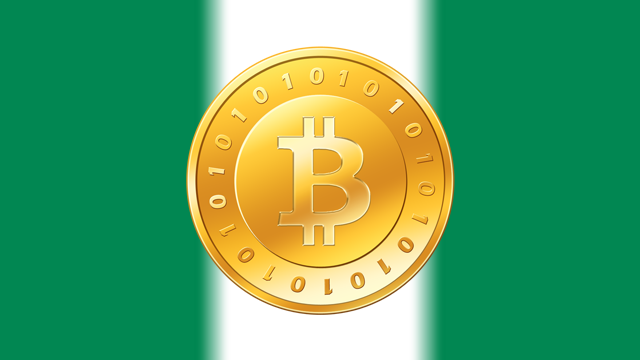 Cryptocurrency exchange Paxful is in hot water in Nigeria after crypto traders in the country claimed the firm has been closing down their accounts illegally, causing them to lost tens of millions of dollars. The traders have filed the petition with Nigeria’s Economic and Financial Crimes Commission (EFCC), accusing Paxful of robbery, fraud, and breaching its terms and conditions. The EFCC is the country’s financial services law enforcement agency. According to a report by local outlet Punch Nigeria, the traders were joined on the petition by United Global Resolve for Peace, a non-governmental organization. The petition claims that Paxful falsely accused Nigerian traders of being involved in fraudulent activities. It then allegedly used this excuse to close down thousands of accounts belonging to Nigerian traders. Traders who owned cryptos when their accounts were closed lost those cryptos. The petition also gave some background on the immense success that the Estonia-based Paxful has had with Nigerian users. In 2018, the exchange made $20 million in profits from its operations worldwide. But it was Nigeria that contributed the bulk of this profit, making up over 40% of the total. Nigeria has been experiencing very harsh weather since March. Temperature have gone as high as 40 degrees celcius. The weather has had a huge impact on the lives of ordinary Nigerians, and experts have warned that the weather pattern will continue for some time. African cities like Nairobi, Cape Town and Lagos could be ahead of the game when it comes to digital innovations. Kigali is catching up. Recently, a Lagos-based tech hub opened a design and innovation center in the Rwandan capital. CGTN's Hlonela Lupuwana caught up with the company's Project Manager Tomi Jaiyeola. Here are excerpts from their conversation.